Whey protein is an essential and ever popular part of the sports nutrition industry. The production of whey protein is expected to grow as it targets other markets as well, such as beauty, anti-aging, and cardiovascular health. 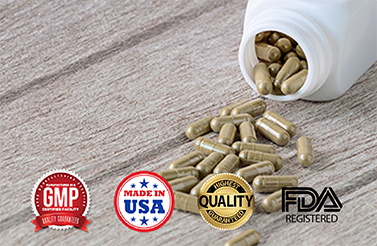 This supplement has both low levels of carbohydrates and fat, making it a go-to in the weight loss and management industry. Additionally, it is low-calorie and does not contain added caffeine, making it the ideal source of healthy energy. Whey protein is beneficial for men and women. Men tend to focus on muscle growth and recovery, while women are more concerned with lean muscle and outer appearance. Whey protein’s diverse targeting abilities make it an indispensable item among private label supplements. There is a crossover of industries being seen among consumers; exercisers are becoming more casual and market wide, and healthy life balances are being strived for in every demographic. Baby boomers are seeking out proactive lifestyles that combat age-associated effects and millennials are partaking more in health-conscious activities. Already one of the most prevalent supplements in sports nutrition, whey protein is gaining even more popularity as changing fitness and lifestyle trends are pushing consumers of every audience to supplement. This forecasted growth in the United States and other countries has retailers participating in private label whey protein. BioThrive Sciences offers nutraceutical and supplement manufacturing to businesses interested in private label and contract manufacturing. Our company will handle every aspect of production, from label design and printing to distribution. Additionally, we offer custom formulation so you are able to reach every channel. The thriving wellness trends within our economy are fueling the success of supplement and whey protein manufacturing. Consumers are becoming inclined to seek out affordable, alternate labels opposed to large, conglomerates. Having been in this business for years, we pride ourselves on integrity, which is why our customers love BioThrive Sciences. Additionally, third party testing is always welcomed. If you are interested in whey protein for your retail business, BioThrive Sciences is your premier manufacturer. Our facility is an all-in-one, manufacturing company. Keeping your supplies, formulas, packaging and distribution in one place will make production consistent and reliable. To learn more, contact us online or call 844-263-3657.